In processing facilities in the chemical, pharmaceutical and energy industries, the main focus today, more than ever, is on "safety". That’s why SIL, or Safety Integrity Level, is becoming more and more important, providing modern process instrumentation with a coherent concept that can minimize potentially high risks to people and the environment. 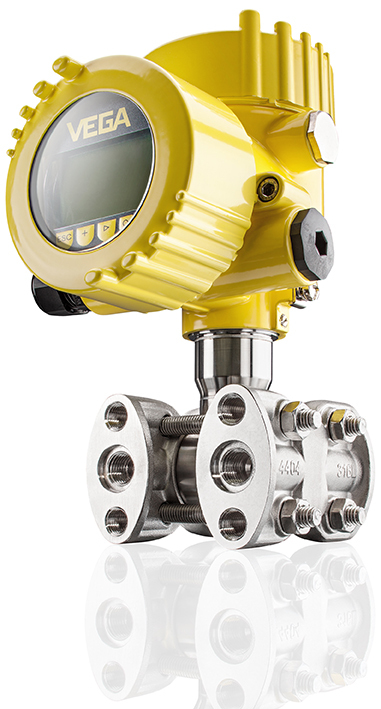 VEGADIF 85, a differential pressure transmitter developed especially with safety in mind, is VEGA’s new component for reliable, continuous control and monitoring of industrial processes. Its strengths lie not only in functional safety, but also in the option of measuring differential and static pressure simultaneously with just one instrument. Housed in a compact single-chamber case, the transmitter is designed for economic efficiency and installation with low space requirements. These features are flanked by particularly simple, intelligent operation: a real plus in terms of error avoidance. VEGADIF 85 is now qualified and approved according to SIL-2 (SIL-3) for manufacturing processes that depend on certified components, simple, user-friendly operation and permanently transparent processes. It can be parameterised conveniently via cable connection as well as wirelessly via Bluetooth. Its measured values can be integrated into the existing processes in no time at all – always in a form suitable to the respective conditions and requirements. Differential pressure, a robust and universal measuring principle, is used in many processes, especially for gases or steam. The pressure difference is determined by means of an orifice disc that narrows the flow in a pipe at a predetermined point. Flowing steam or gas builds up a higher pressure in front of the constriction point than behind it. The difference between the two values – before and after the restriction – can be used to deduce the absolute quantity of gas that flows through. with single or double sided chemical seals: denoted as CSS or CSB respectively. With this high-performance line of products, highly accurate, fail-safe measurements can be realized even under the most challenging conditions.